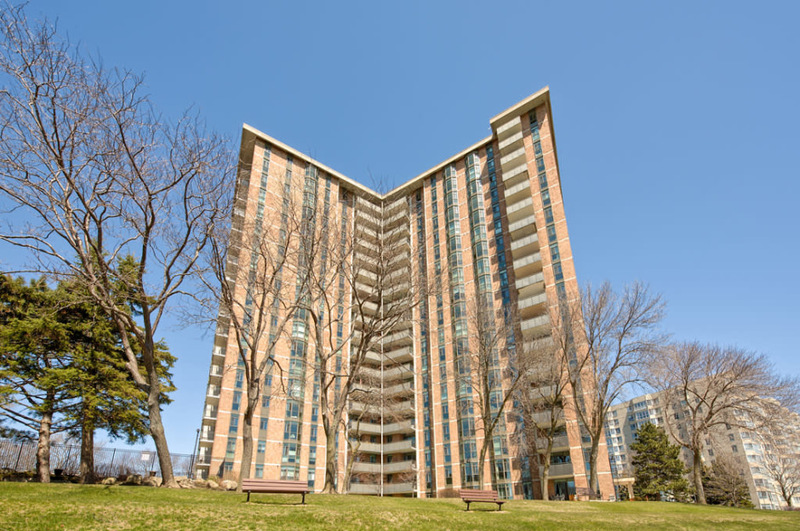 Nested into lush manicured grounds on the shores of picturesque Lake Ontario, “The Admirals Walk” is located directly on Lake Ontario and a short walk to all amenities. 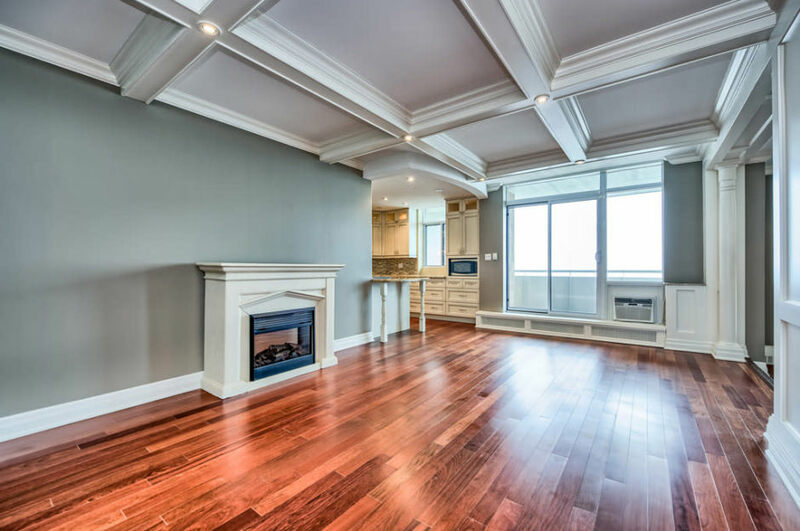 With full unobstructed panoramic views of the lake from all principle rooms, this updated 2 bed, 2 bath water front unit features a spacious open concept layout, crown molding, high base boards, brushed silver hardware, laminate hardwood and pot lighting throughout, and boasts nearly 1,500 sq ft. Entry to this unit begins with a tile floor foyer with inlay and wainscoting. The spacious living room includes an cast stone electric fireplace, trey ceiling, decorative columns and full windows and sliding glass door to the generous patio offering spectacular lake views. 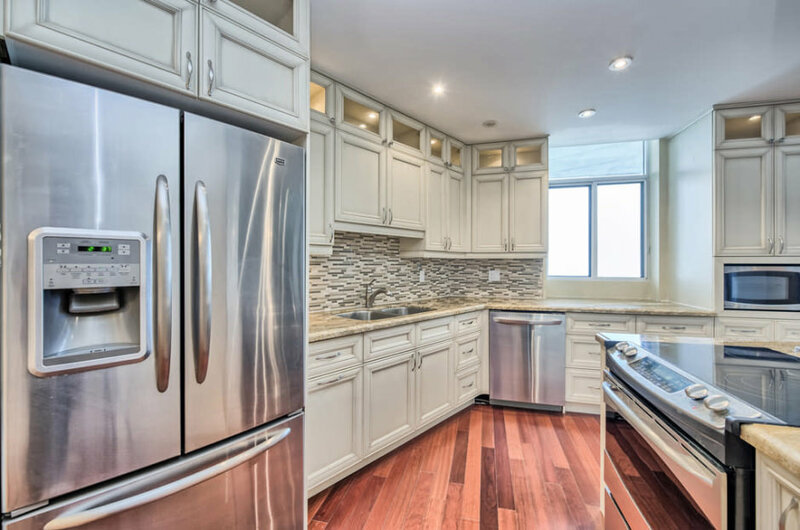 The granite gourmet kitchen features a breakfast counter, floor to ceiling off white cabinetry with pots and pans drawer, spice drawer, garbage/recycling centre, valance lighting, glass/limestone backsplash and walk-in pantry/office. The stainless steel appliance package includes French door refrigerator with freezer drawer, five burner glass cooktop stove, built-in dishwasher and microwave. The unit also includes a separate dining room with trey ceiling and accent lighting, wainscoting, six point chandelier and den area wired for TV and electronics. The spacious master bedroom includes a triple bay window overlooking the lake, walk-through closet, updated ensuite bath with marble under mount vanity, pot & light sconces, glass shower with tile surround, bench, safety bar, shampoo nook and marble flooring. The second bedroom is also generous in size with wonderful lake views, and the main bath with Cesarstone undermount Kohler sink, deep soaker tub with separate shower wand, ensuite laundry and storage room complete this wonderful suite. This very clean, friendly well maintained building features newer windows & sliding doors (2017), and newer elevators. 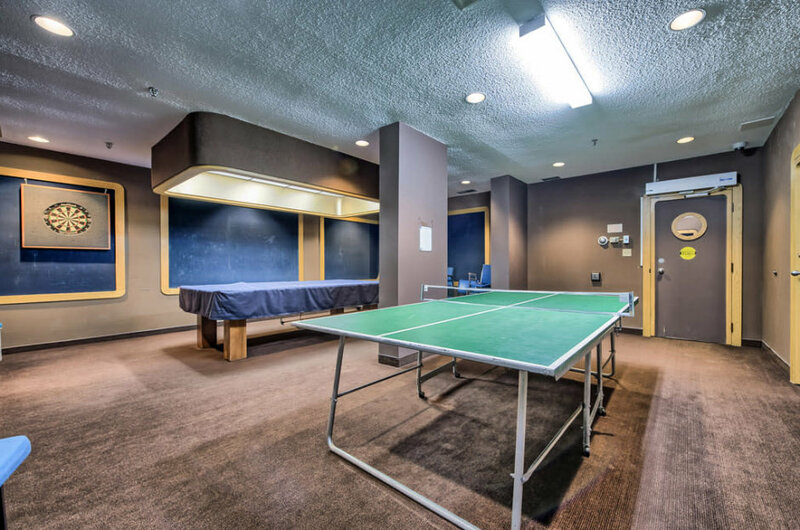 Amenities include an outdoor pool, picnic/bbq area, exercise room, hobby room, party room, visitors parking. Steps from the lake, trails, bike paths, transit, shopping, restaurants, Appleby GO station and major highways.